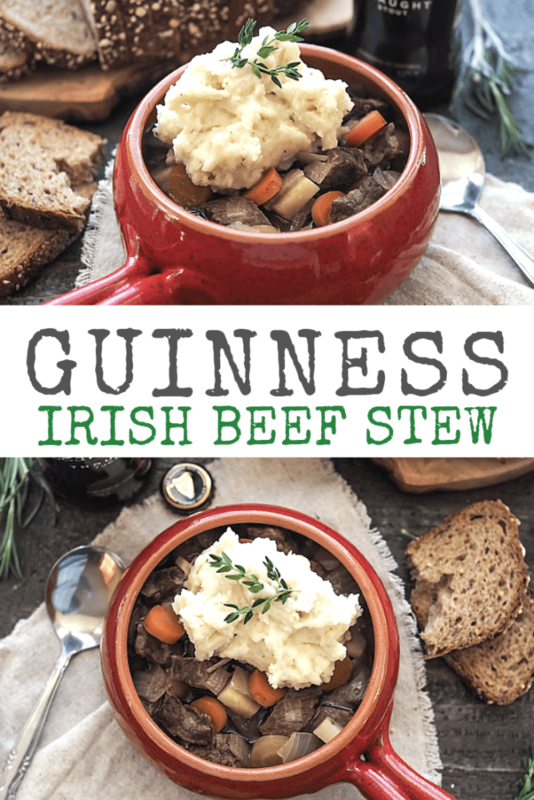 It’s been an unusually cold season, and so we’ve been craving comfort foods like this slow cooker Guinness Beef Stew. A slow cooker is so easy to prep in the morning, and the whole house ends up smelling so wonderful that I look forward to dinner all day. 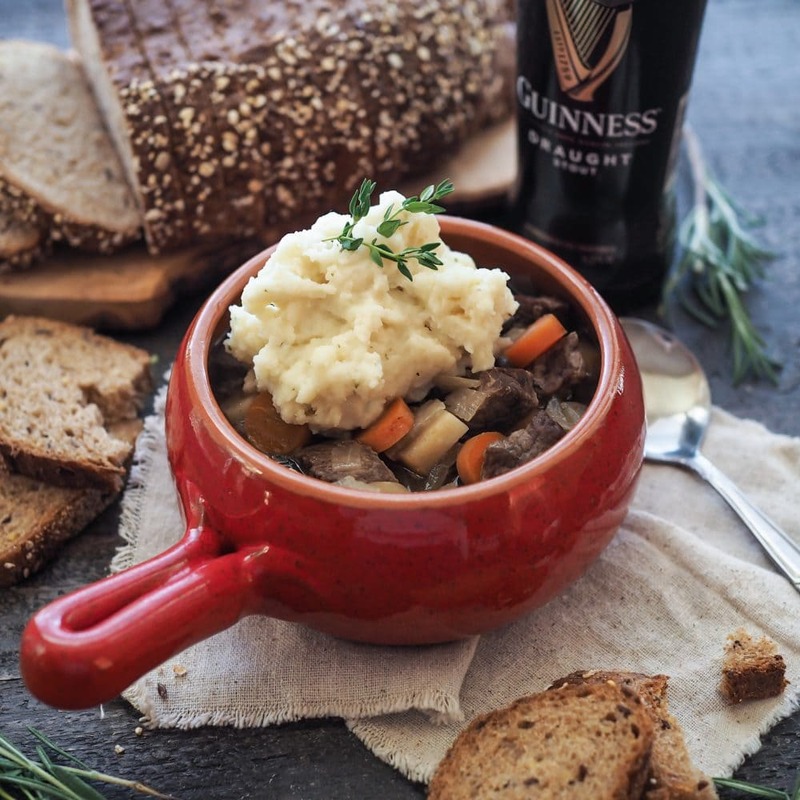 There’s nothing like a hearty Irish stew to stave off the cold! 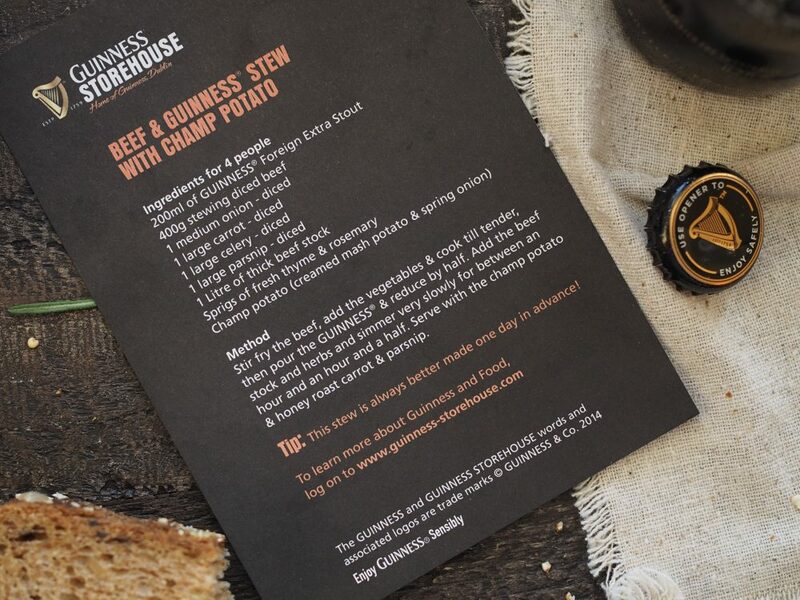 This recipe is modified from a card I picked up at the Guinness Storehouse in Dublin during our guided food tour of Ireland. 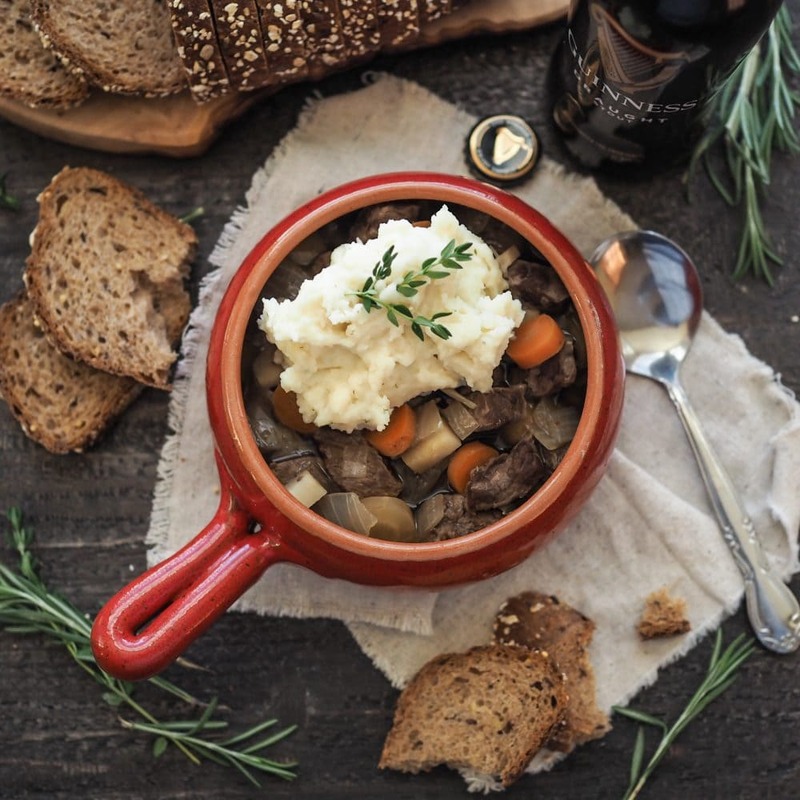 What I loved about their Guinness Beef Stew is the simplicity of the ingredients. While Irish stew is typically made in a dutch oven, it was easy to modify for a slow cooker in order to save some time in the kitchen. Serve with some easy-to-bake cheddar cheese sticks or a loaf of Irish soda bread. TIP: While you could make mashed potatoes from scratch, there’s no shame in saving time with dry mashed potatoes. They’re just as delicious. mashed potatoes to serve on the side. Prep all the vegetables by washing and dicing. It will be approximately 1 cup of each, but it is okay if it is a little less or a little more since you’re making a stew. Pour beef stock and Guinness over all the ingredients and set the slow cooker on high heat for a minimum of 6 hours. Spoon into bowls and serve with mashed potatoes. 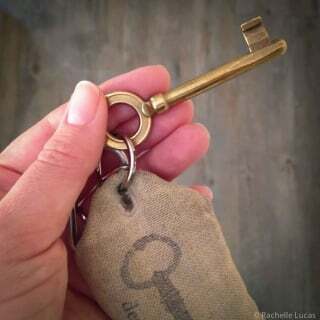 I so want to make this before the weekend. Thanks for the inspiration and the recipe! !